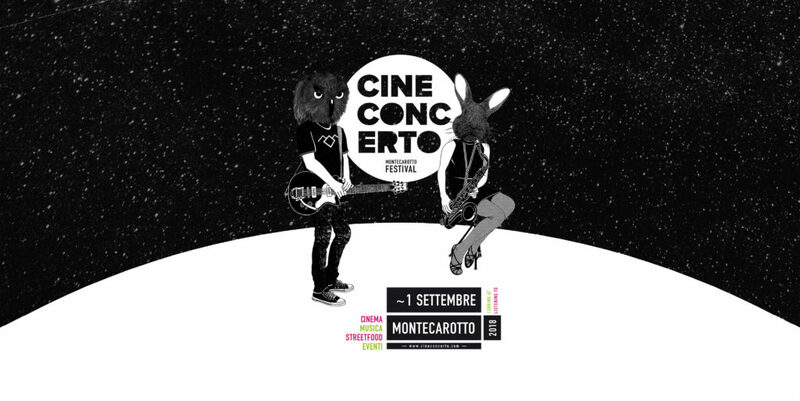 ON SEPTEMBER 1, 2018 THE THIRD EDITION OF CINECONCERTO FESTIVAL HAS BEEN HELD, AN AMBITIOUS ATTEMPT TO UNITE THE INTENSITY OF CINEMA TO THE EXPRESSIVENESS OF MUSIC IN A SINGLE EVENING. SATURDAY, IN THE FRAME OF THE MUNICIPAL THEATER, THE CONTEST OF LIVE SONORIZED VIDEO PROJECTS HAS BEEN PERFORMED, TAKEN THIS YEAR BY: ANGELA BRUSCHI, SET DESIGNER, FABRIZIO SARACINELLI, CINEMATOGRAPHIC PRODUCER, ILENIA STELLA, PIANIST, MICHELE BERTONI, SOUND ENGINEER. THE EVENING CONCLUDED WITH THE FINAL CONCERT BY NIC GYALSON (CH), ITALO-SWITZERLAND PSYCH POP-ROCK BAND. 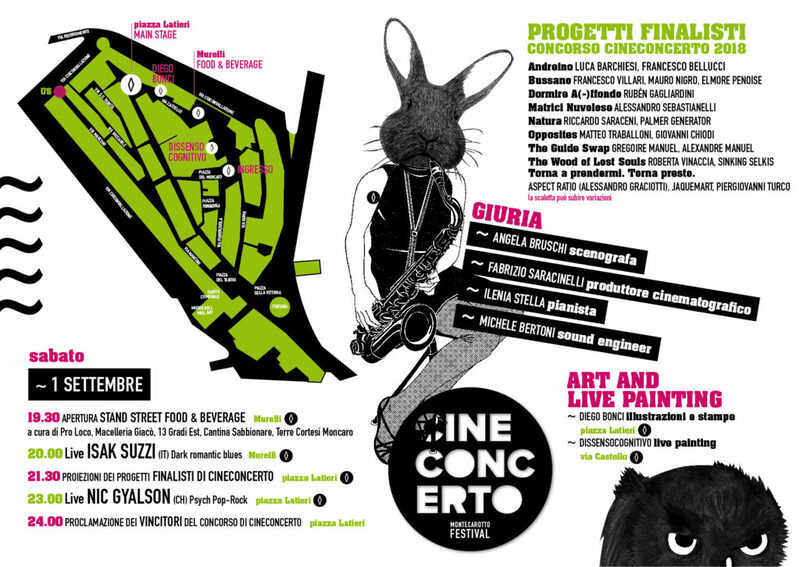 SURROUNDING THE EVENT, A HISTORIC CENTER RICH IN STREET FOOD AND EXHIBITIONS, IN PARTICULAR THE EXPOSURE OF THE ILLUSTRATOR DIEGO BONCI AND THE LIVE PAINTING OF THE STREET ARTIST DISSENSOCOGNITIVO.